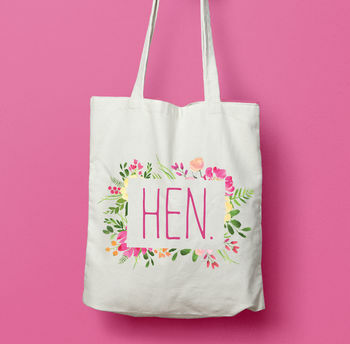 The perfect wedding favour or gift for your 'hens'. 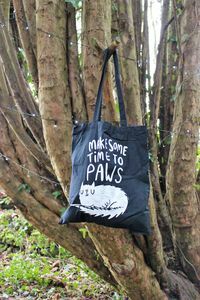 Perfect for a quick dash to the shops, or as a lovely keep sake bag for someone special... this time say what you mean with a tote! 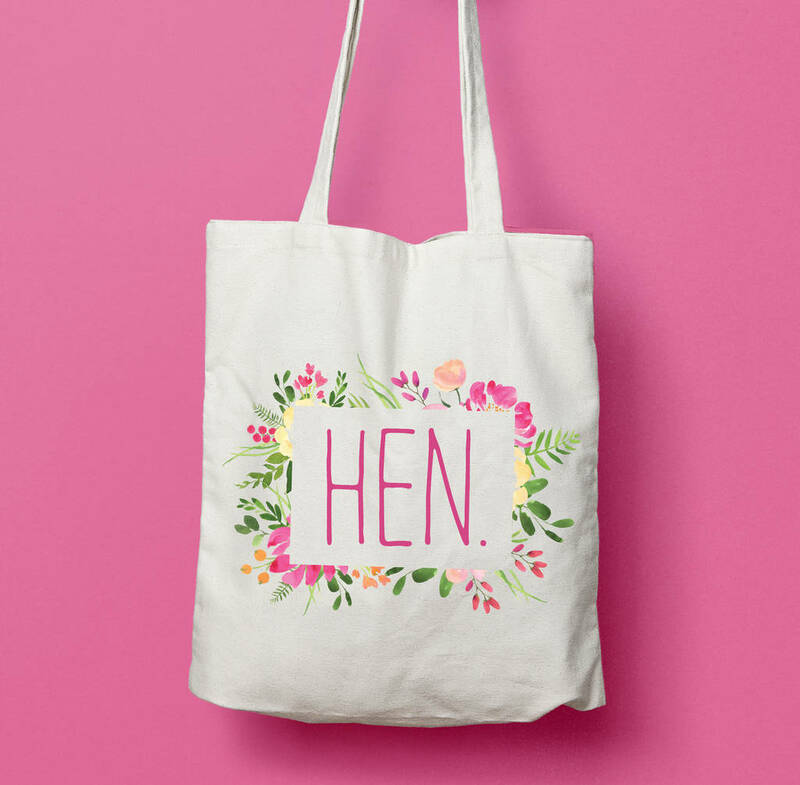 Each bag is Ethically sourced and made using 100% Natural 140 gsm cotton that is unbleached and undyed- the perfect natural blank canvas for this bright and quirky design. 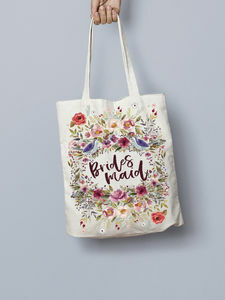 Please note that where there is white on the design, it will show up see through on the bag when printed. 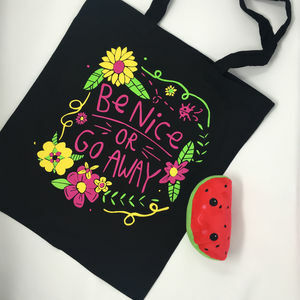 The designs on each bag are lovingly designed, printed then iron heat transfered on by hand using quality semi-matt heat transfer paper. It will wash at up to 40 degrees in the washing machine, but I would always say better be safe and where you can wash by hand. 38cm (w) by 43cm (h) with long handles made to go over your shoulder. 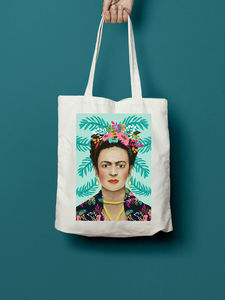 This product is dispatched to you by Stephanie B Designs.